1. Choose an interesting piece from your own body of art work to replicate in a cross-contour drawing. •You may find it easier to use more cylindrical forms such as bottles, fingers or legs for this exercise. Faces tend to look awkward in cross-contour but there are no limitations on subject matter. 2. Lightly sketch the outlines of the simple shapes in the original piece on in pencil to create guidelines. 3. Draw in pencil cross-contour lines that “wrap” around the objects to define the forms in the composition to emphasize the volume. Carefully consider the direction of the cross-contour lines. 4. Go over the pencil lines in black sharpie using a variety of thicknesses of lines and good craftsmanship. 5. Be sure to erase all pencil guidelines after you finish your drawing and your ink is completely DRY. 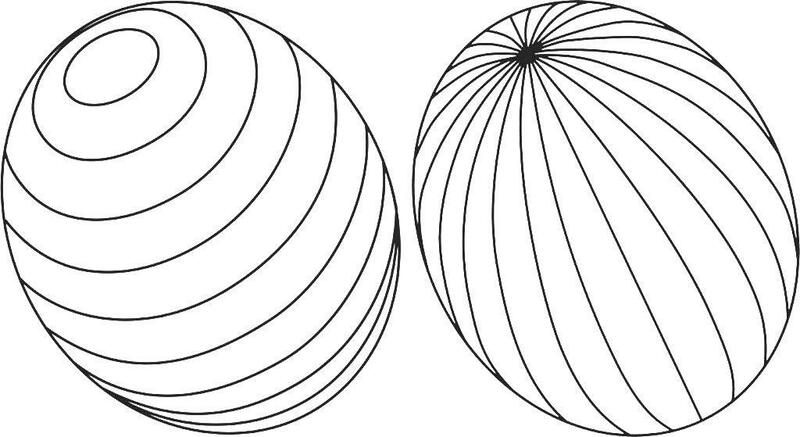 Do the cross contour lines follow the objects form? Is the volume of the objects emphasized byt the cross contour lines in the drawing? Did you use good craftsmanship (such as no visible pencil lines or ink smears)? Each Line One BreathWhile it’s not exactly the same thing as the AP Cross Contour assignment, the drawings by John Franzen show how value can be shown with only the subtle changes in the space between lines. He begins by freehand drawing one very straight line and then slowly copies the line. The inevitable imperfections in his otherwise straight freehand lines become amplified as he continues to copy the previous line. Give to my Donor’s Choose projects to support this classroom. Artist, teacher, mom, writer, performer, and master of herding of cats. Mt. Eden AP Studio Art is on Facebook!